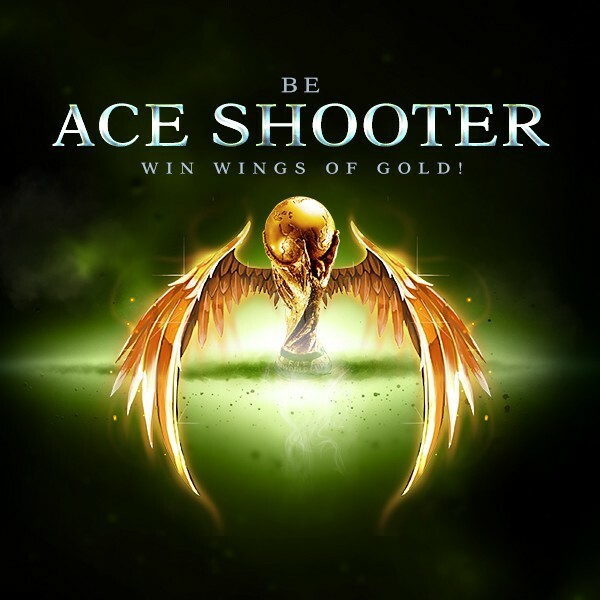 LoA_Play Shooting Game to Win Wings of Gold! Description: New Funny shooting game in LoA! Join in the World Cup! 1. There are three directions and a goalkeeper, you can choose one way to shoot. You will succed if you are lucky enough! 2. 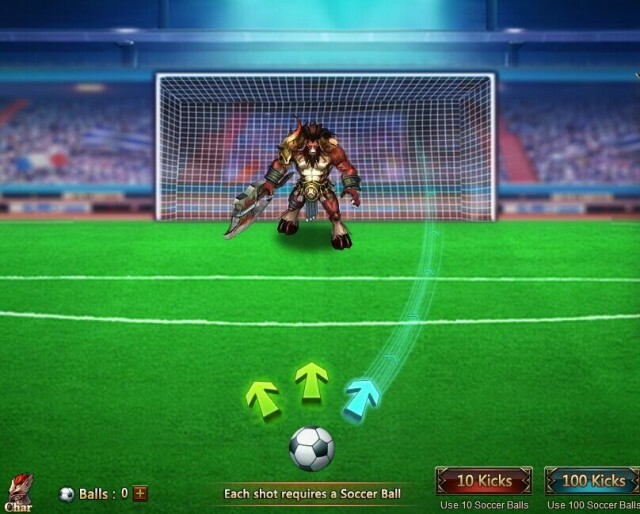 Each shot requires a soccer ball, you can get soccer balls from a number of hot events in the game (Today's Gift and etc. ), or you can visit our Facebook to join the Like and Share event to win free balls. 3. When you goal you can get 3 points and a Winner Pack (3 Champion Marks and 1 Goal Chest). If not, you still get 1 point and a Consolation Pack (1 Champion Mark and 1 Participation Chest). 4. 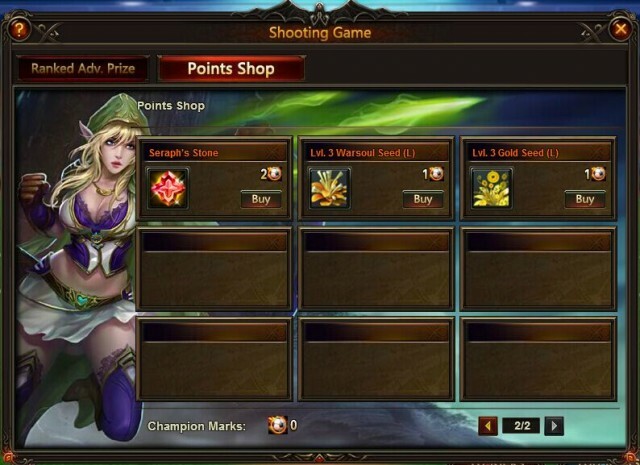 You can use your Champion Marks to buy items in the Points Shop. 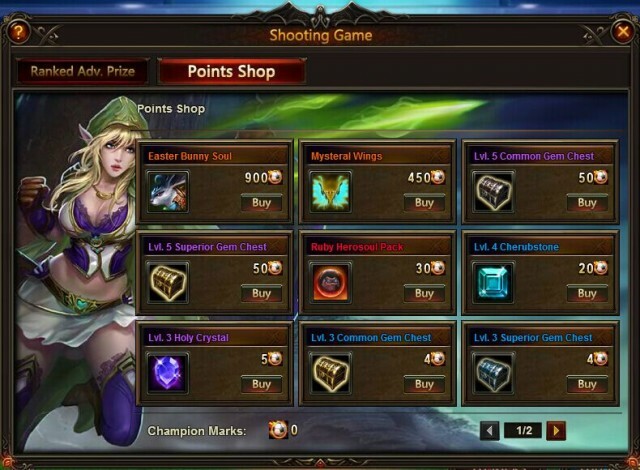 -Daily Top 100 players who have at least 50 points will get extra Voucher and Soulstone; Daily Top 100 players who have at least 250 points will get extra Refining Stone and Element Crystal. - You can swap the required cards for: Headless Horseman Crest, Arcane Spirit Crest, Valkyrie Crest, Astral Hunter Crest, Runestone, Lvl. 6 Cherubstone, Seraph's Stone, Element Crystal, Gem Essence, Topaz Herosoul, Blessed Stone, Refining Stone, Angel Tears, and Synth Scroll. - Total Ranking Rewards: At the end of the event, the Top 20 players with at least 5000 total points have a chance to win Seraph's Stones, Lvl. 7 Fusion Gem Chests, Joker (S), Lvl. 6/7 Common Gem Chests. 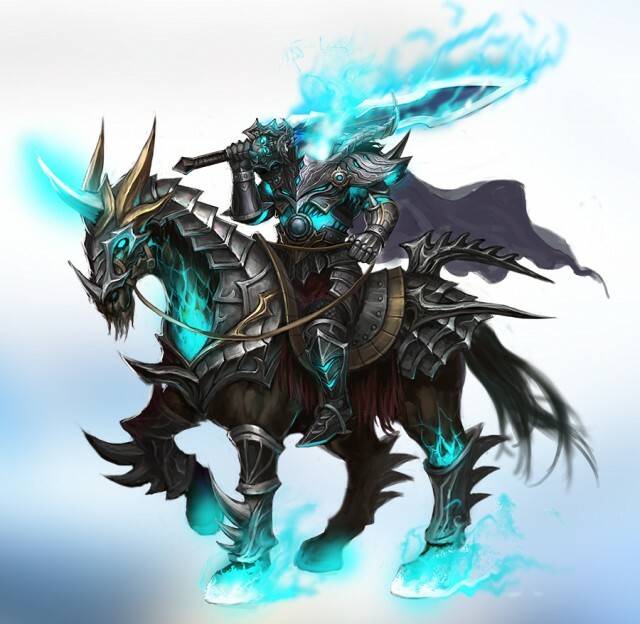 Hero Skill: Spectral Smash: Transforms into Headless Horseman on first turn. Starting on the next turn and for each turn after that, inflicts (60% ATK + 100) to all enemies. -Daily Top 20 players who have at least 1500 Points will get extra Points; Daily Top 20 players who have at least 3000 Points will get extra Points.